Honduras when I was there at the Embassy. How glad I am that I did it. Appreciate having been in an Arab country. I am studying Mediterranean/Near Eastern archaeology and art history, and have recently married. anyone in Yemen who might possibly be interested. Please send names & addresses of any who might want to improve their English. I look back upon my service more fondly than reflected in the journal entries that I wrote during my service. I would like to change my e-mail address to make it current. 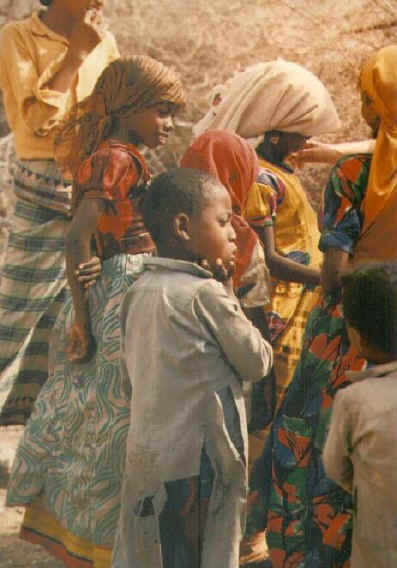 I taught ESOL in Hodeidah, Yemen at the National School of Public Administration. I have two great sons, Emile, 18 and Emir, 15. I am a high school teacher and adult educator. I loved my PC experiences. I love those memories. She passed away in October,2004. She was a wonderful woman and great friend.She last lived in Qatar, and formerly the United Arab Emirates.She was married and had two children. I know that as an RPCV (Paraguay '80-'82) myself, that anyone who served with her would want to know. Her birthday was this past weekend. Has anyone seen Larry Lawson? He was in Yemen from 1978-1980. Last seen heading for Canada to count geese. There is an RPCV Yemen facebook. Go check it out! !